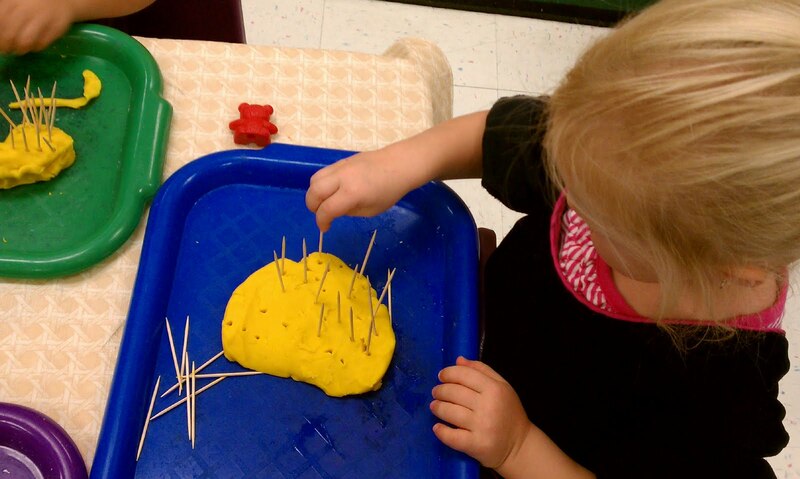 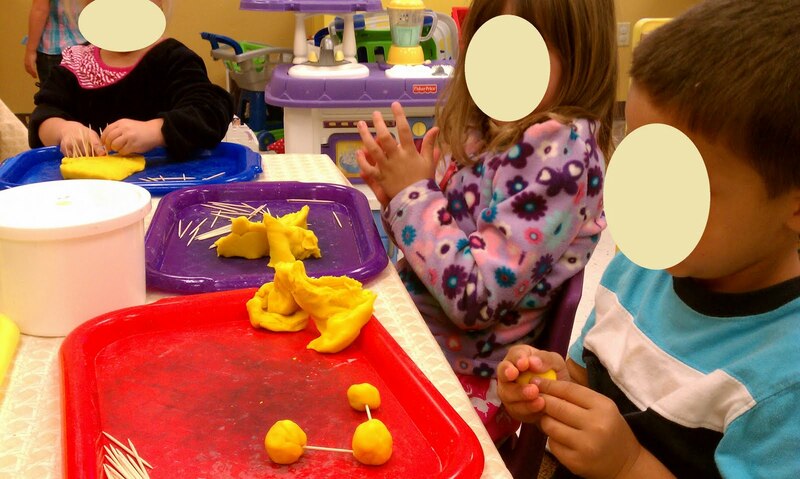 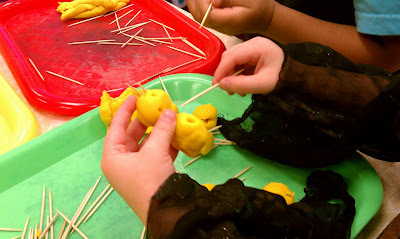 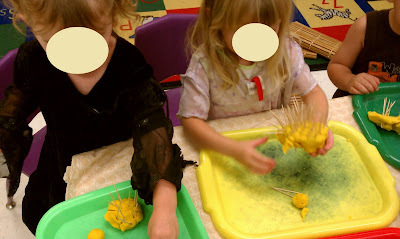 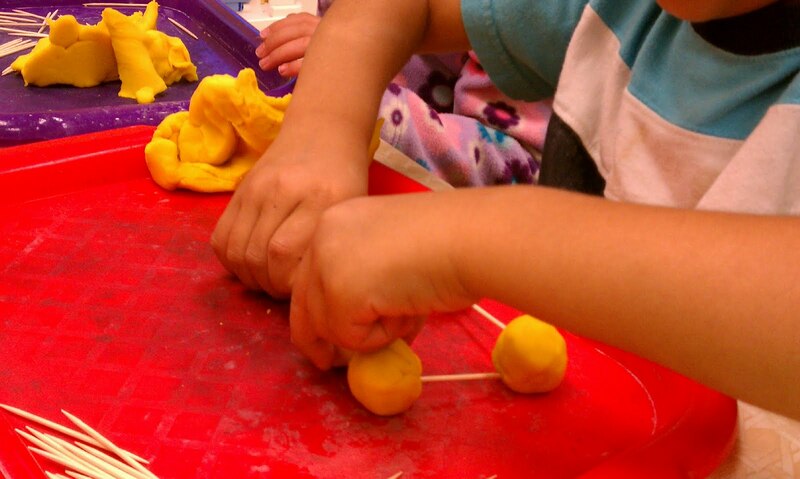 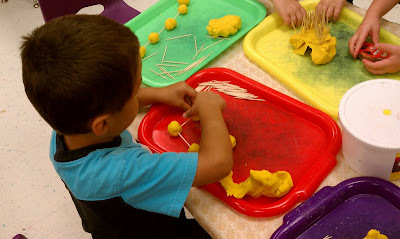 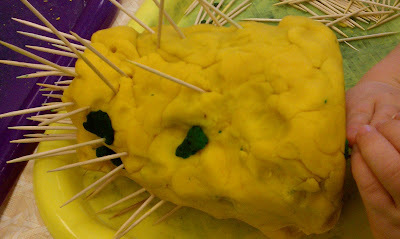 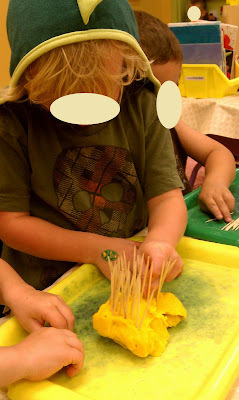 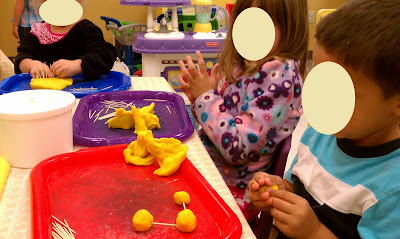 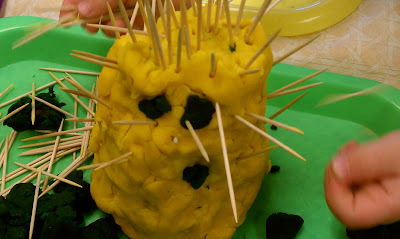 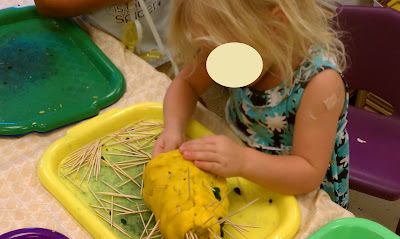 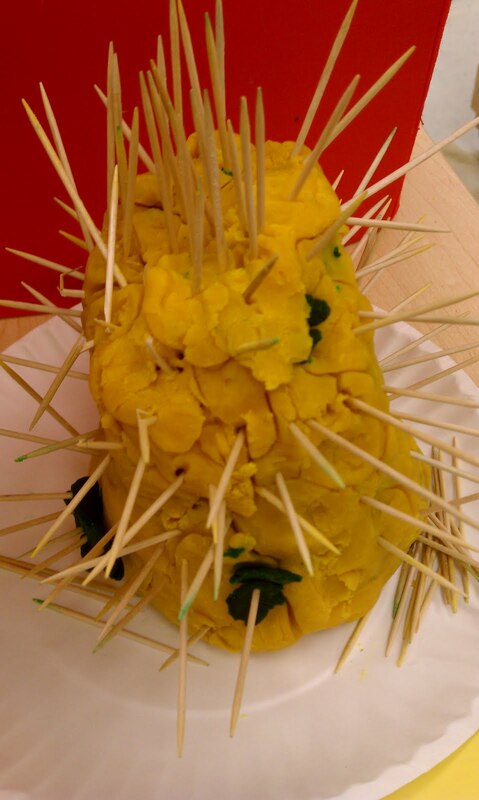 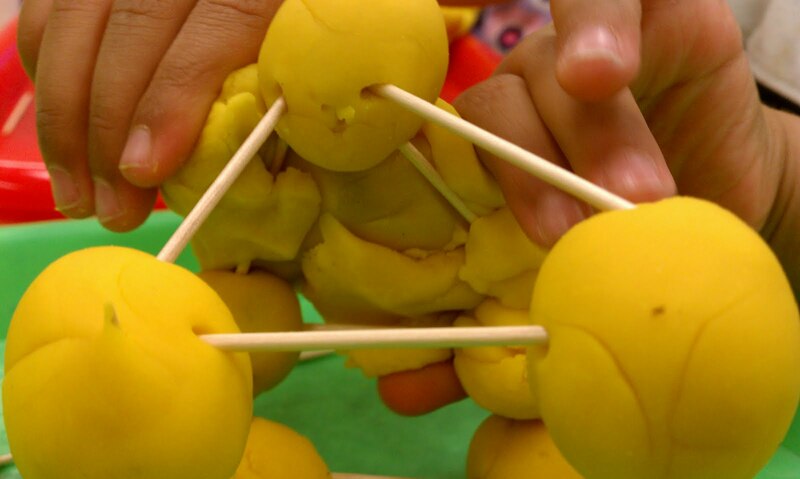 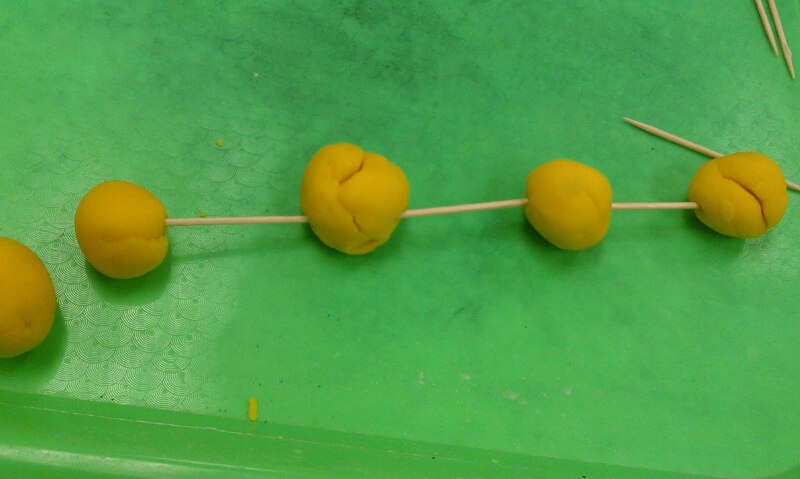 Play-Based Classroom: Play dough, Toothpicks, and the "Pokey-dot Cactus." 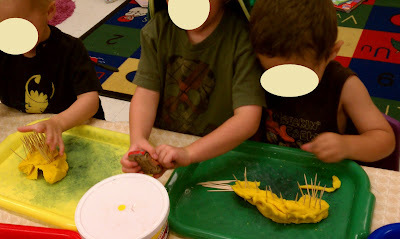 Play dough, Toothpicks, and the "Pokey-dot Cactus." 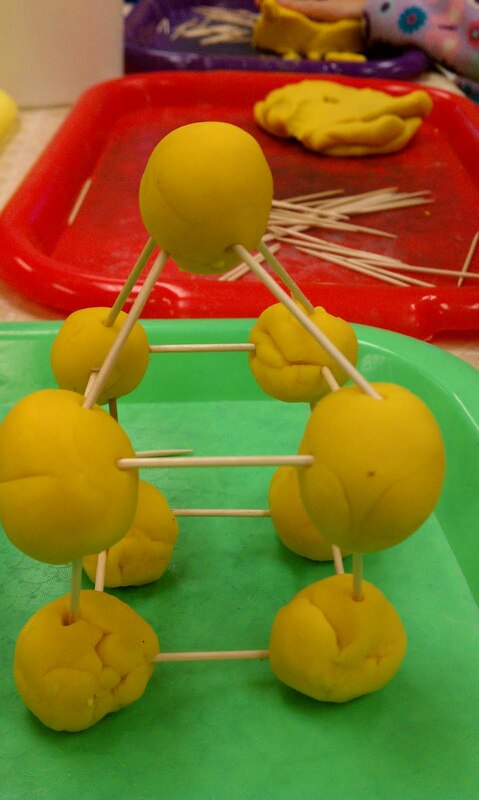 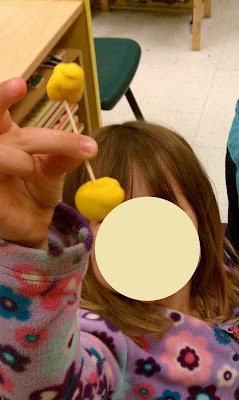 Last week, we explored play dough and toothpicks. 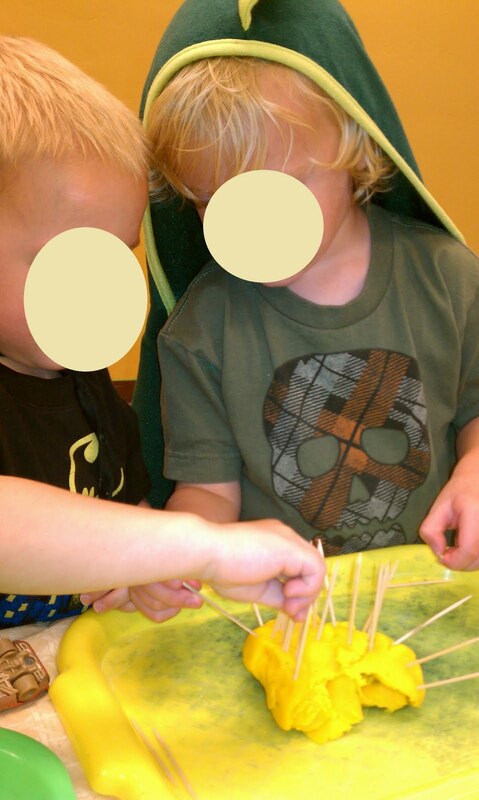 Let me point out that this was a multi-day (extended) activity. We've never used tooth picks in the classroom before, so to get the ball rolling, I sat at the table and played with them. As we rolled, smushed, and poked, we talked about tooth pick safety, and all things "pokey. " 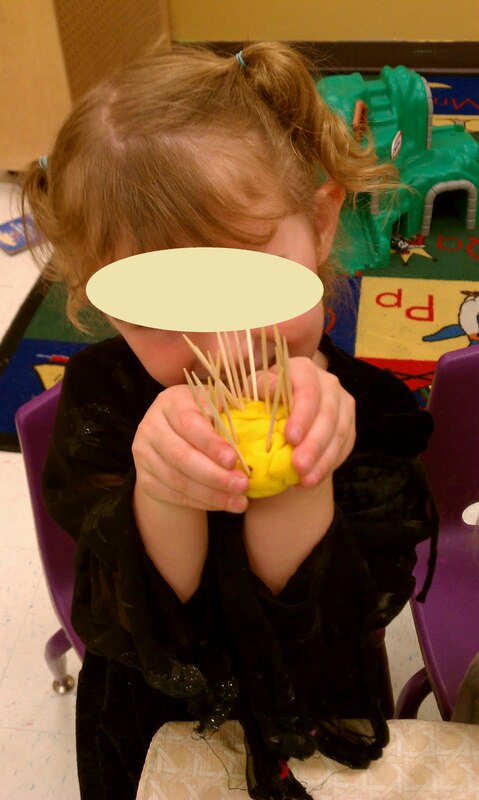 --pokey cakes, candles, porcupines, and (this is how you can tell this is an Arizona classroom) cactus! 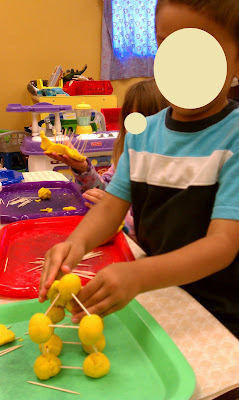 In the back, Cordy makes a pokey cake, Grace uses her small motor skills to roll a ball, and Giovanni squishes his ball for his structure. The foundation for his structure. The guys make a porcupine. 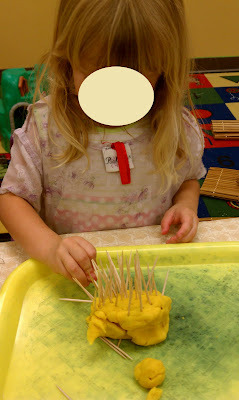 Daryn makes a pokey snake. 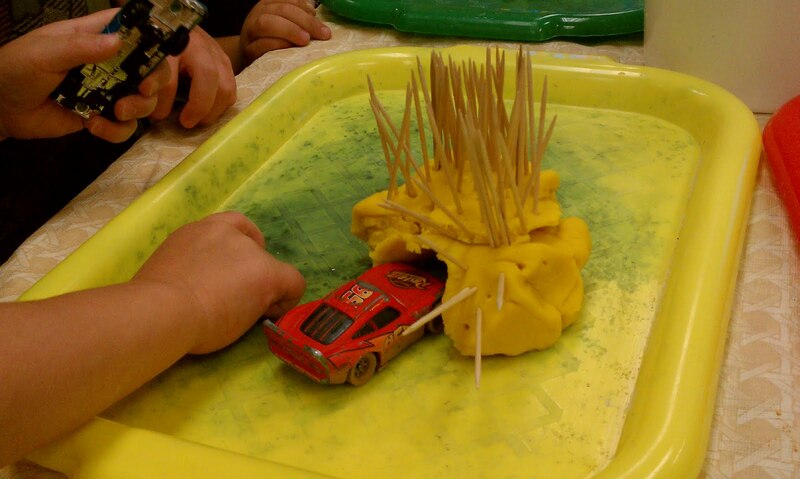 This house needs a roof. The activity draws in the girls who were playing dress up near-by. 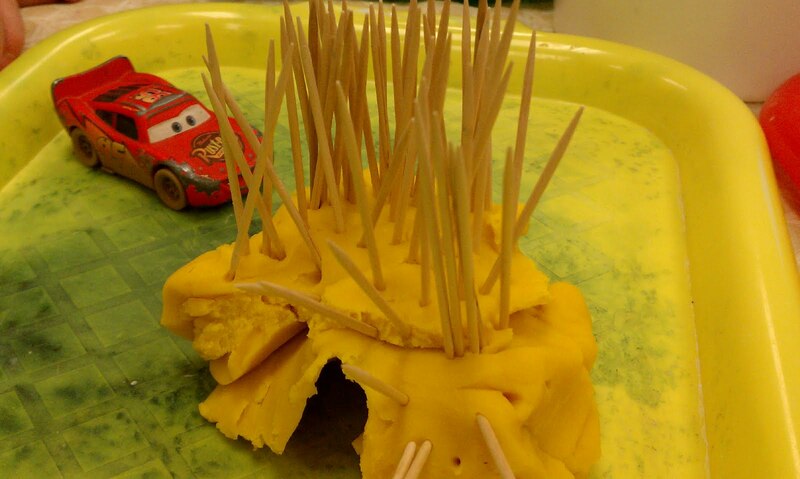 It's a birthday cake, of course! 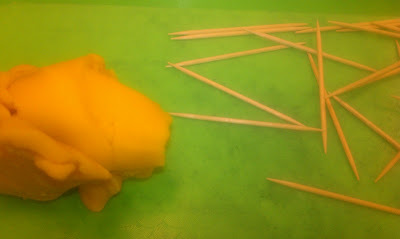 The next day yields even more interesting results. It was meant to be a cactus, but Cordy adds facial features, arms, and legs. Cordy tests if toothpicks will hold the structure up. I left the sculpture out on the shelf for the rest of the week, and over the next few days, children would stop by and add or remove toothpicks, leaving what is now unanimously called the "Pokey-Dot Cactus." Don't you just love how the addition of a simple new material totally reinvigorates a routine activity? 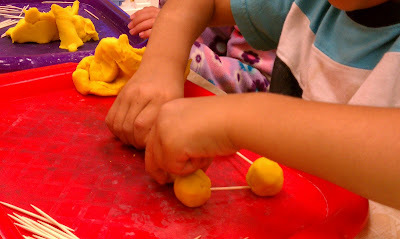 We added drinking straws to our playdough this week and made bugs, lollypops and er, cauliflowers! 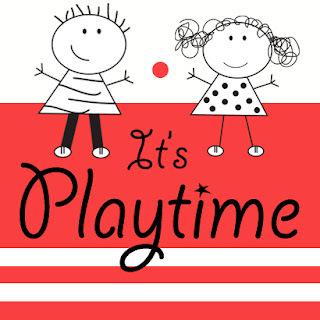 Thanks for joining in the the Play Academy again. 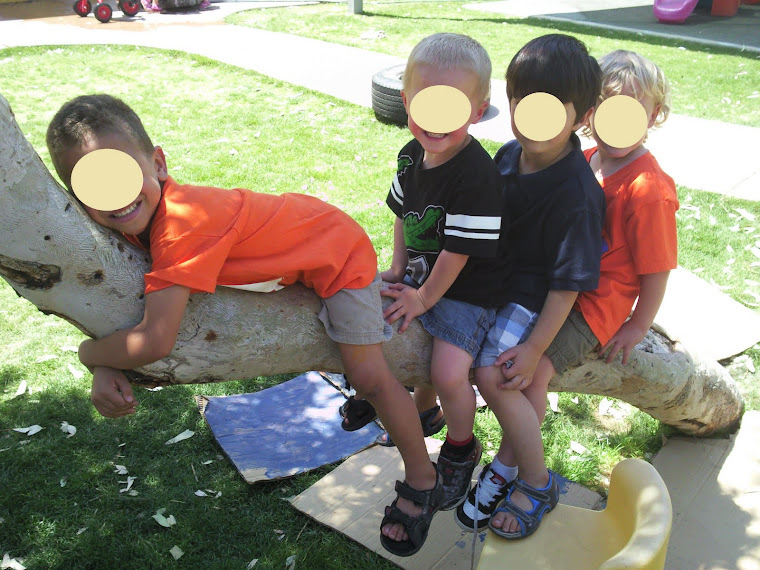 Tree block and logs--oh my!